It is now clear that the remodel, while being portrayed as a renovation and upgrading of a track facility is actually a complete repurposing of Hayward Field, modeled after Warsaw’s Chorzow Stadium, principally referred to as Selisian Stadium and designed to function as a multi-purpose stadium for Concerts, Race Cars. Soccer, Rodeos and come what may. 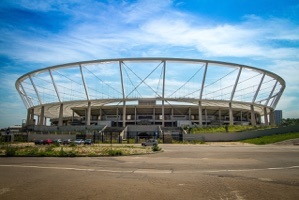 See details on the Plans page and more on Selisian Stadium, see: https://en.wikipedia.org/wiki/Silesian_Stadium . Perhaps this revelation will awaken the Fairmount Neighborhood. Don’t be shocked if there is a name change coming soon and keep an eye out for other sucker punches! Knowing that it will still be used occasionally as a track facility lets go back to how the proposed design does not function well for that purpose and explore how it might be improved. After responding to a number of people who support the removal of the structures at Hayward Field and the New Stadium Design as presented, some key points. 1)Bottom Line: The overarching issue is that the design as presented does not work and is not supported by any of the design teams assembled to design the Jaqua Center, The Hatfield-Dowlin Complex, Autzen Stadium, Mathew Knight Arena or The Nike Campus. 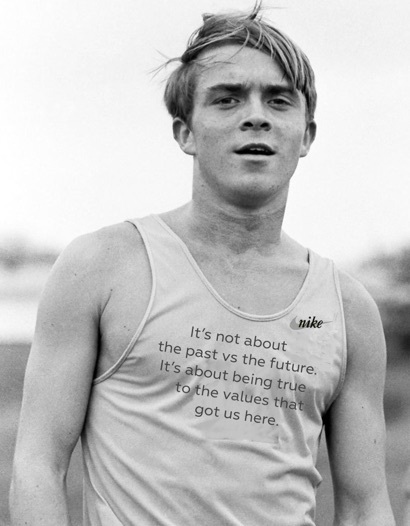 No one will speak out, apparently, the shadow of Phil Knight and Nike loom large. That is a sad thing. 2)Urgent Priority: Those of us whose lives and priorities fall outside of that shadow or are, simply put, brave enough to take the risk, need to do everything we can to reset the course. 3)A broad survey shows that those who recently attended the NCAA Track and Field Championship at Hayward Field understand the issues and are in opposition to the current design. 2)Flexibility in capacity has been and will continue to be key to the success of Hayward Field. 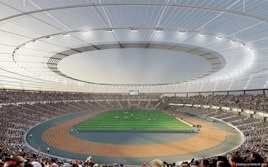 It is not showing in the few renderings that have been presented (See the Flexibility page on this site). 3)Protection from the elements is really important to maintain attendance and offering escape and relaxing places for athletes between events (often this happens with family and friends.) It does not exist in the designs presented. University President Michael Schill responded when questioned on how many seats will be covered,”I don’t know. I hope that mine will.”** There needs to be an open, detailed presentation of all aspects of the design and a proper public debate. 4)Right now, what we have are a few pretty pictures that show us a twenty foot perimeter wall, a six story stadium and a ten story tower. These heights and barriers are unnecessarily out of scale and break Campus Guidelines and agreements with the Fairmount Neighborhood. The Plans page shows all the rendering of the new designs released to the public. To feel confident the public needs to see more. Alternative designs are also presented to encourage and assist the design team, the public, (athletes. students, neighbors, outside designers....everyone) to imagine, debate and find the very best solution. 5)We can’t tell for sure but it appears that the spectators and the participants are completely separated. This will result in no more high fives, no more fire at the rail, diminished spirit and diminished fire on the track. 6)The video’s used to win the IAAF World Championships* rely heavily on the fact that the chorus from the crowd, resonating in amplification from the heart of the east grandstand and the rhythmic clapping gathering from all around are the magic of Hayward Field that make it the obvious choice. On the videos, Vin Lananna relies heavily on the unique power of this magic. You hear it in the background uplifting him to brilliant oration. Ashton Eaton credits it with inspiring him to his world outdoor record. We have not been given any guarantees that it was a consideration in the design teams process. 7)All of these factors break the bonds and the mechanics that unite to make Hayward Field and it’s, as of now, united community (students, athletes and fans) so powerful and the performances, so often, exceptional.. We need to find the right design. When we do, Phil, you, me, we will all love it when we get there.